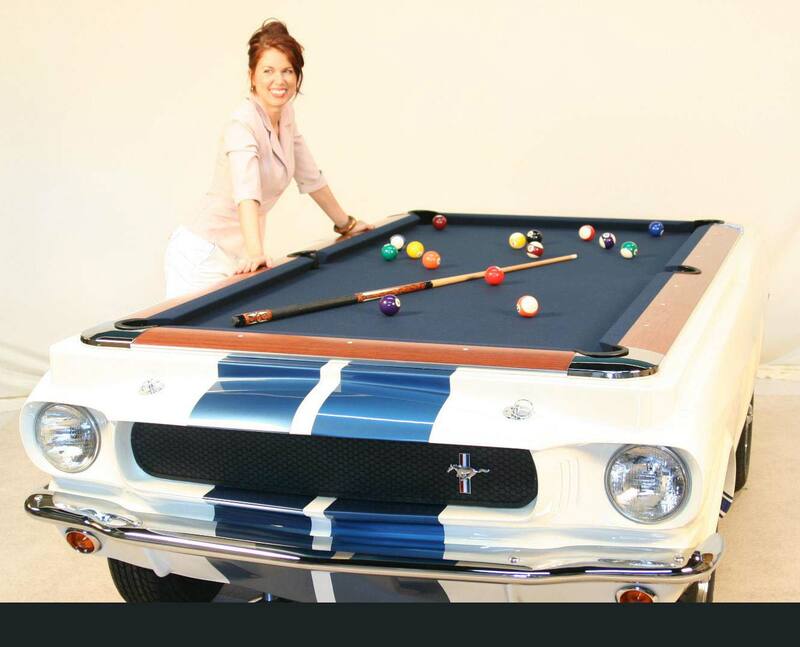 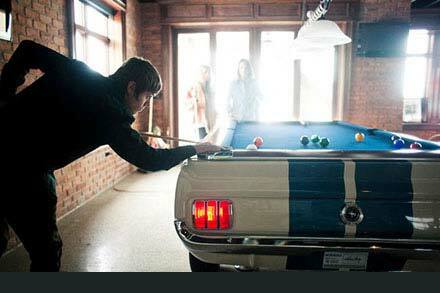 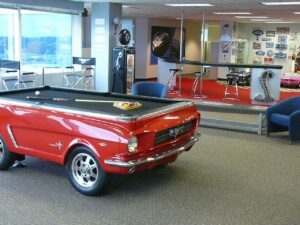 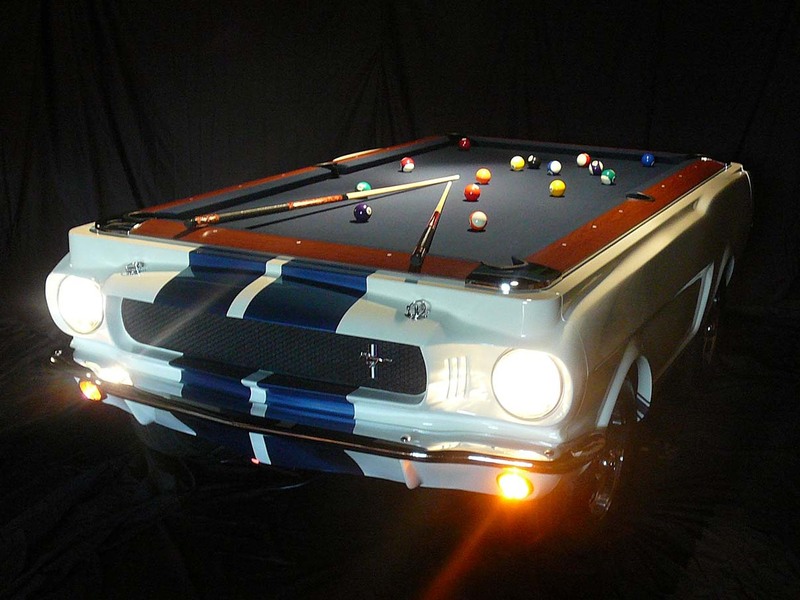 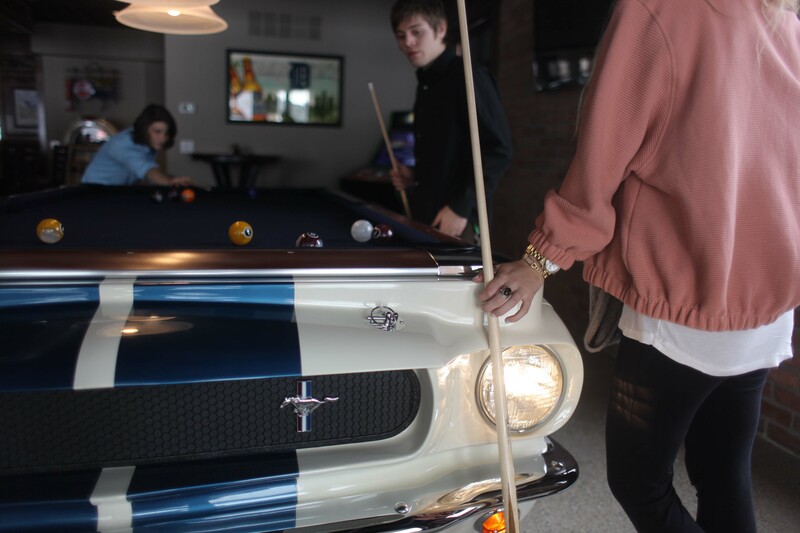 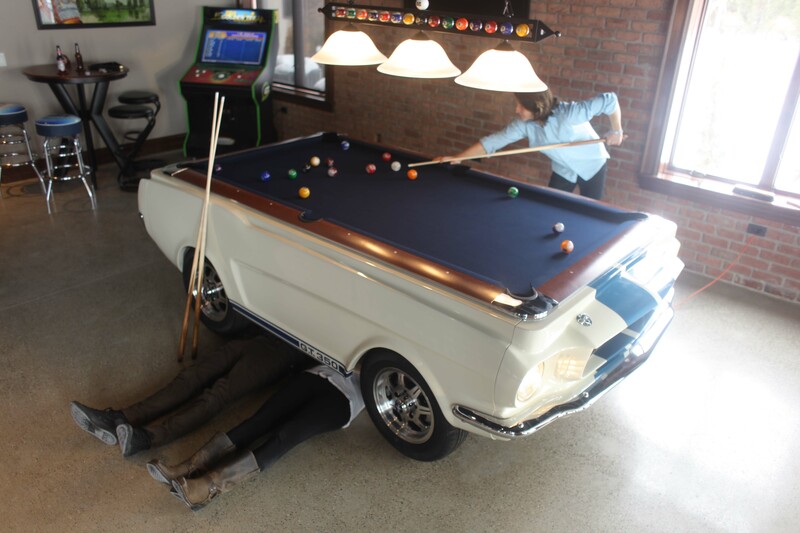 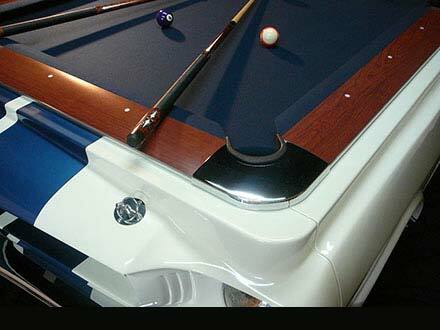 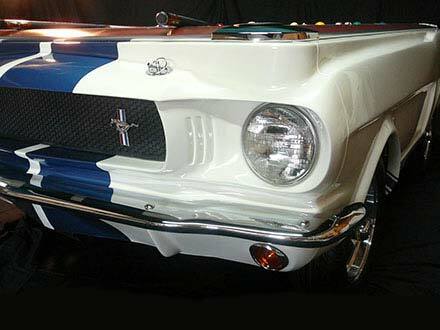 Each Shelby Pool Table is directly molded from the body of a real 1965 GT 350 and is finished with top quality automotive paint and clear coat, wet sanded, and trimmed with real working lights, actual chrome bumpers and decals, and real alloy rims and tires. 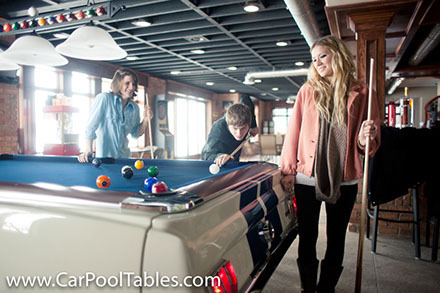 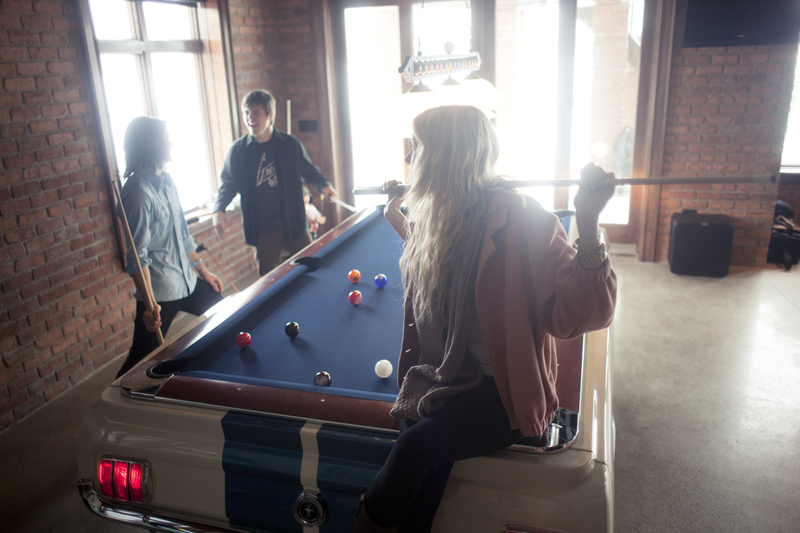 The pool table itself is a regulation size 4×8 top and holds only the highest quality three piece slate top. 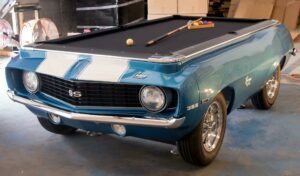 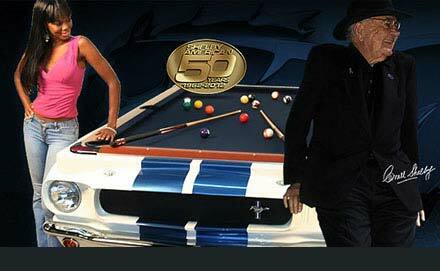 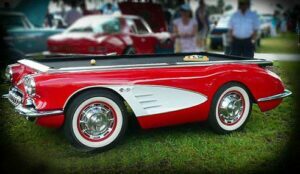 With our exclusive agreement with the Carroll Shelby Foundation, these are the only collectors edition pool tables made for Shelby, with a very limited number (50) bearing the original and documented signature of Carroll. 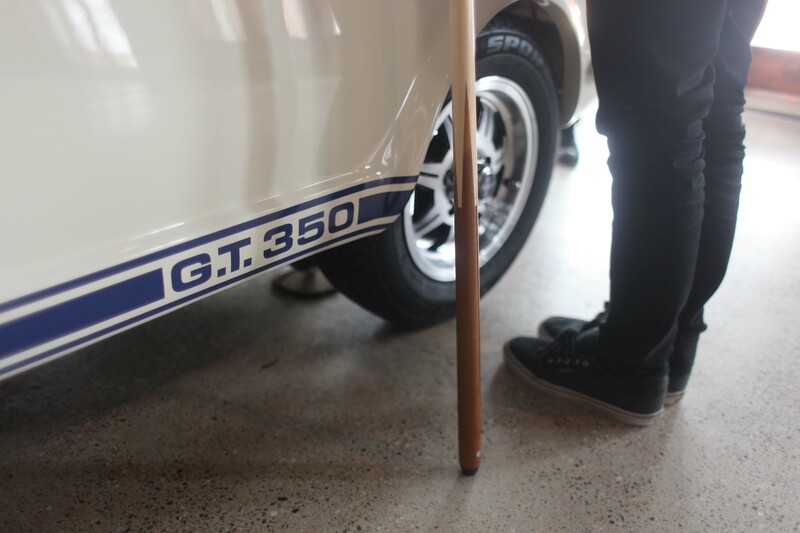 Finished in original Wimbledon white and Guardsman Blue with cherry finished rails and a solid hard-wood frame, your new Shelby table is designed to last as an heirloom collectible for many generations.